Spaciousness, elegance and charm in a vibrant and bustling neighbourhood steeped in history. 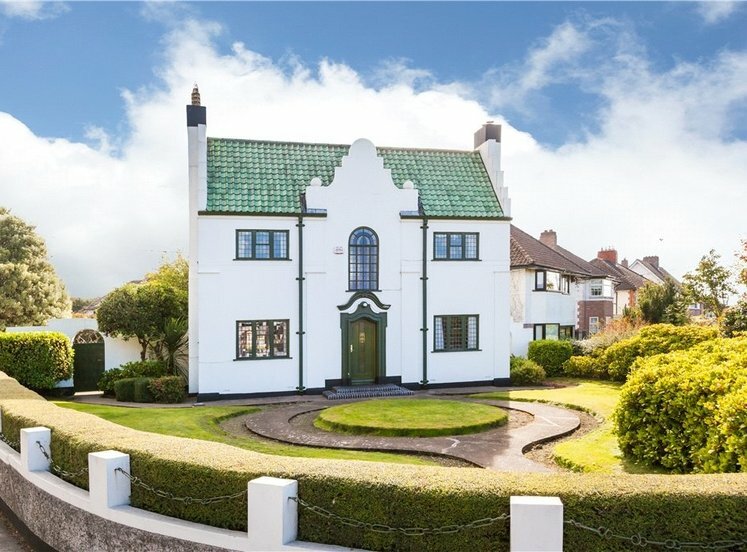 Built at the turn of the twentieth century, providing quarters for the married officers of the British Army serving in what was then Marlborough Barracks now McKee Barracks, 2 Marlborough Road is a 5 bed red brick period residence of distinction. 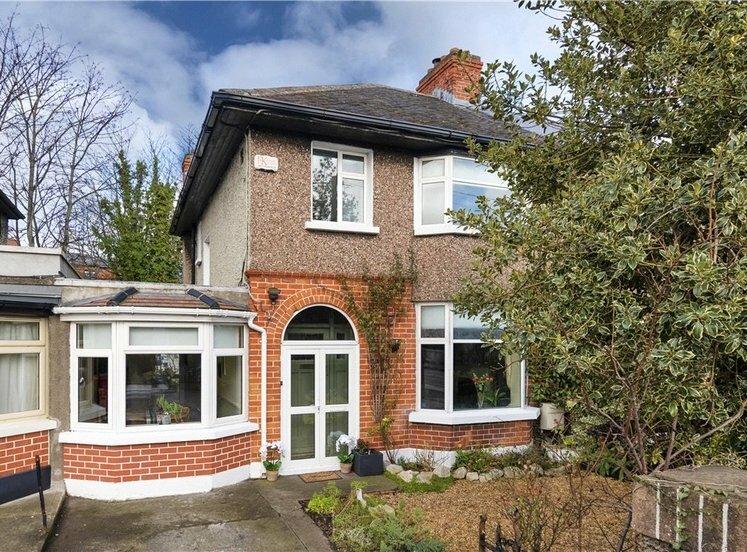 Marlborough Road, Dublin 7 is a hidden gem located close to the Phoenix Park in a vibrant neighbourhood in easy walking distance of characterful Stoneybatter village and the city centre. 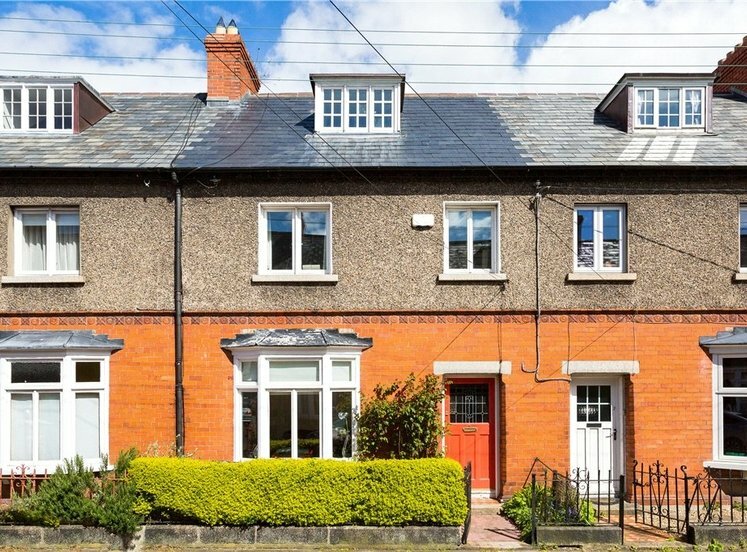 Enjoying a cul-de-sac setting on this small leafy residential road and situated in a row of terraced houses, looking directly onto a detached house which was the Major General’s abode, this family home oozes curb appeal. The terrace boasts a neat row of front gardens with ornate wrought iron railings and pedestrian accesses leading to uniform recessed doorways of imposing full red brick facades with bay windows at ground and first floor level. There is ample on-street parking to the front while the generous rear gardens offer vehicular access via a rear laneway and off-street parking for two cars. 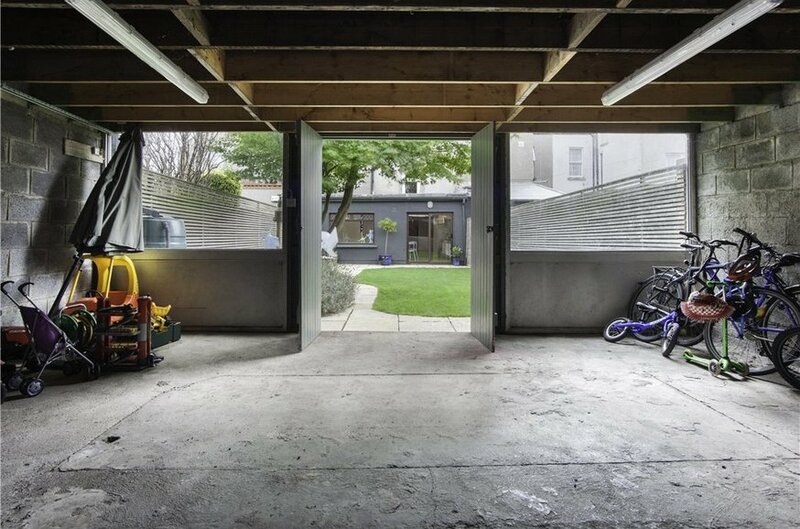 2 Marlborough Road has a large domestic garage (9m x 6m). 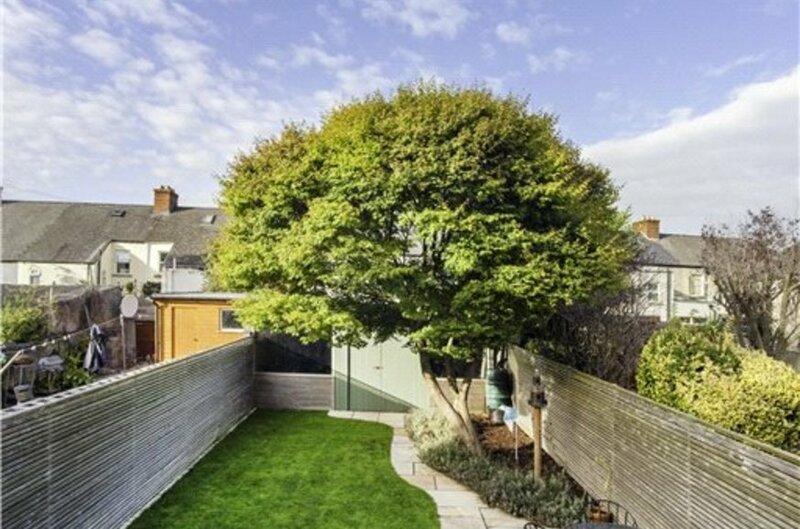 The rear garden is beautifully landscaped with Indian sandstone paving, a lush lawn, lavender border, abundant spring bulbs, herb garden and exquisite Maple (acer japonicum) tree. 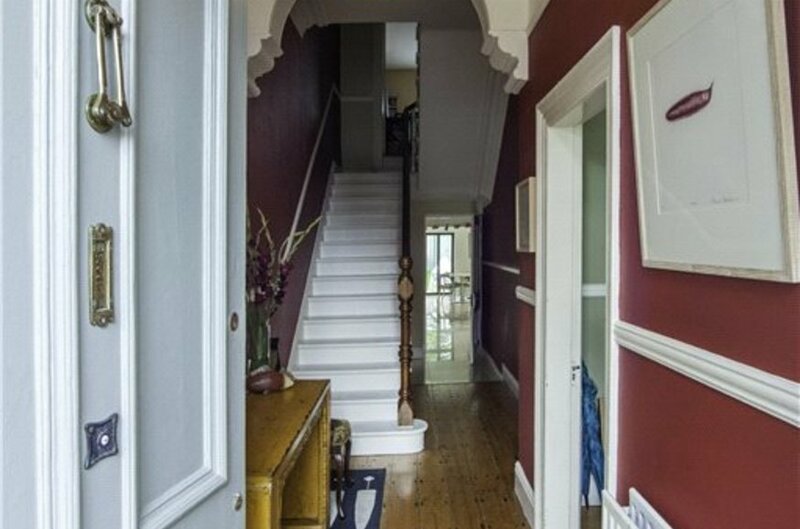 On entering 2 Marlborough Road one is immediately greeted by a very impressive ornate reception hallway with decorative coving and centre rose, an arch and original timber flooring. However it is perhaps the ceiling height that impresses the most. Indeed throughout the property the generously proportioned rooms with 3.5 metre ceilings offer spacious accommodation beyond the norm. 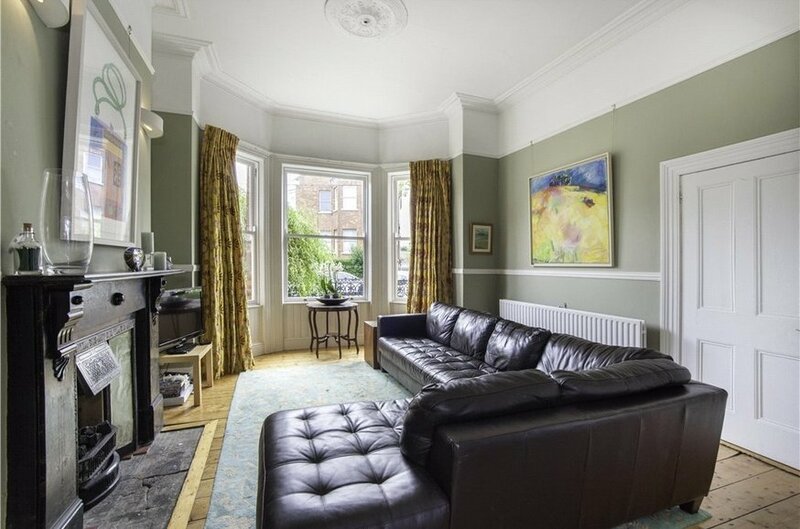 The front reception room is bright and roomy with oodles of natural light being provided by the large bay window overlooking onto the front garden. This interconnects with a second reception room. 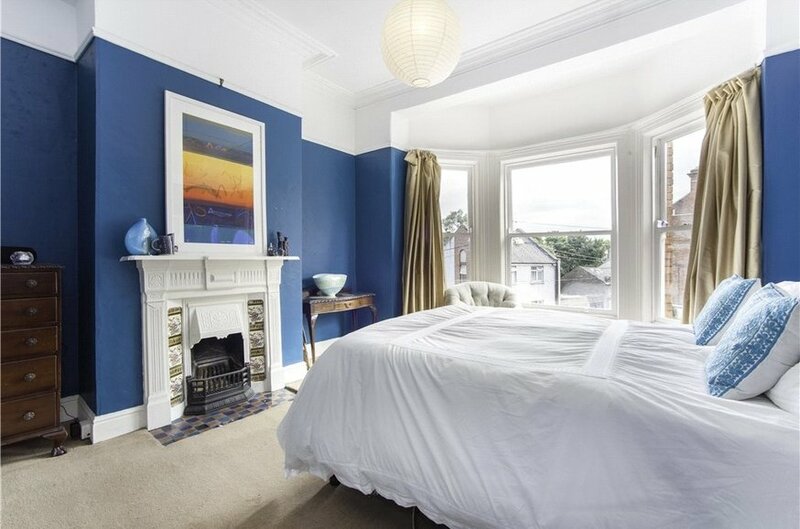 Both rooms impress with original feature fireplaces, decorative coving, picture rails and original timber flooring. The kitchen is on the ground floor return and this enjoys an open plan format with the third reception area a modern extension incorporating a shower room and giving access to an internal courtyard that provides natural light to both these rooms and the second reception room. 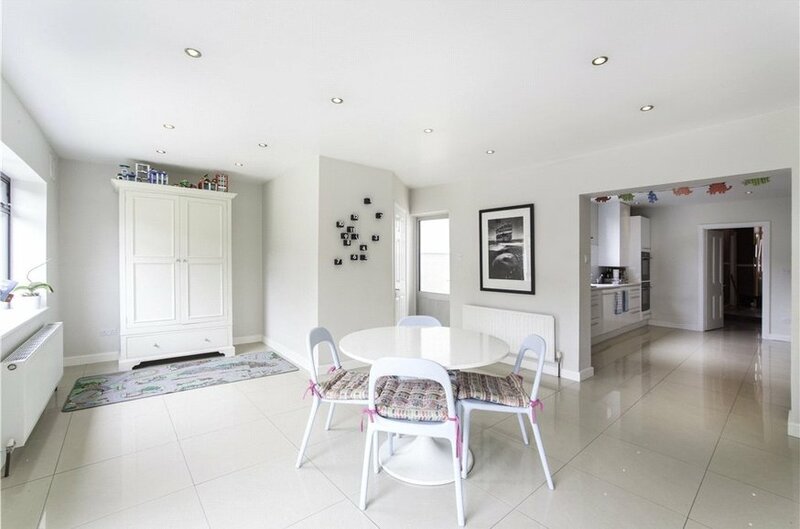 The ground floor return has a very contemporary feel to it, with a sleek fitted kitchen and clean architectural lines defining these rooms where one can imagine a vast amount of the family’s interactions and activities happening. 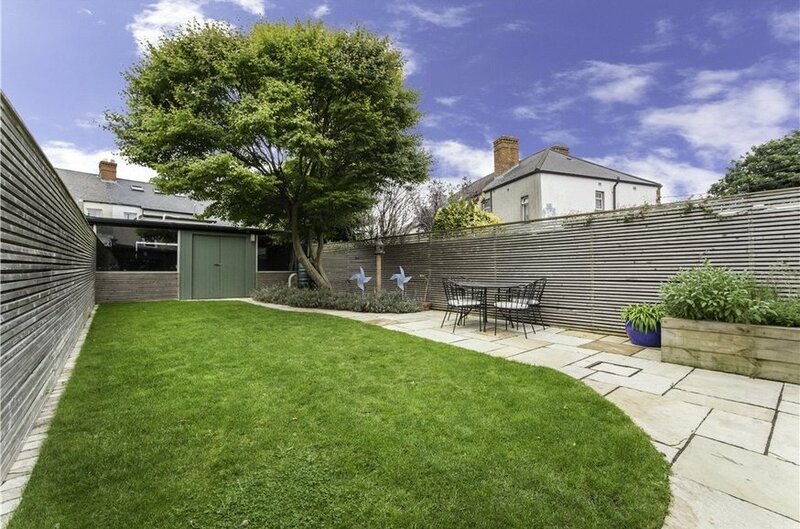 A patio door in turn accesses the beautifully landscaped rear garden and garage. There is a large double bedroom with fireplace on the first floor return. At first floor level there are two large double bedrooms and a single bedroom. The first floor bay window lends plenty of character to the master bedroom. The fifth bedroom and second bathroom are on the second floor return. To preserve the integrity of the façade there were new double glazed timber sash windows installed, replacing the original sash windows. The property has gas central heating. 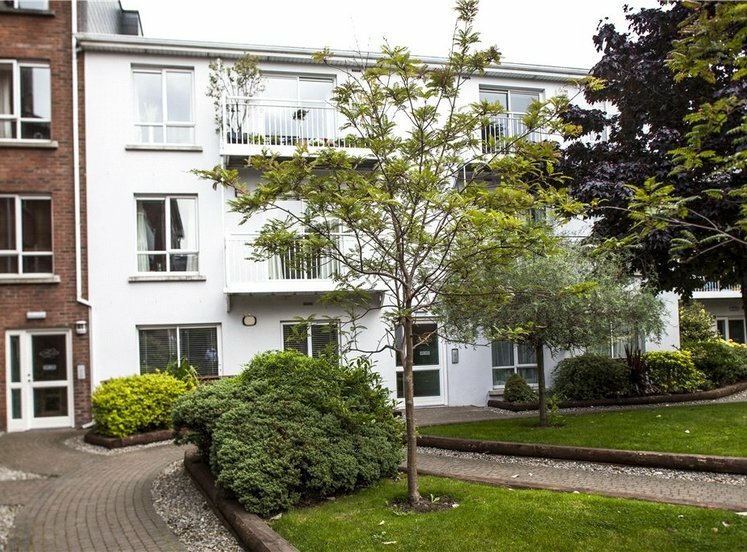 Marlborough Road is a most convenient location, within walking distance of the Phoenix Park, Stoneybatter, Smithfield, Grangegorman DIT Campus and the Mater Hospital. 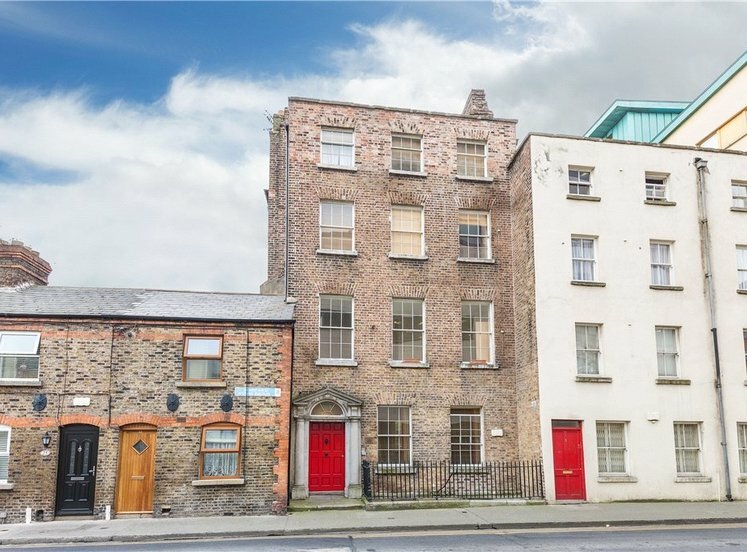 Dublin city centre is an easy 3km walk away. The Red Line LUAS is a 10 minute walk away in Collins Barracks. 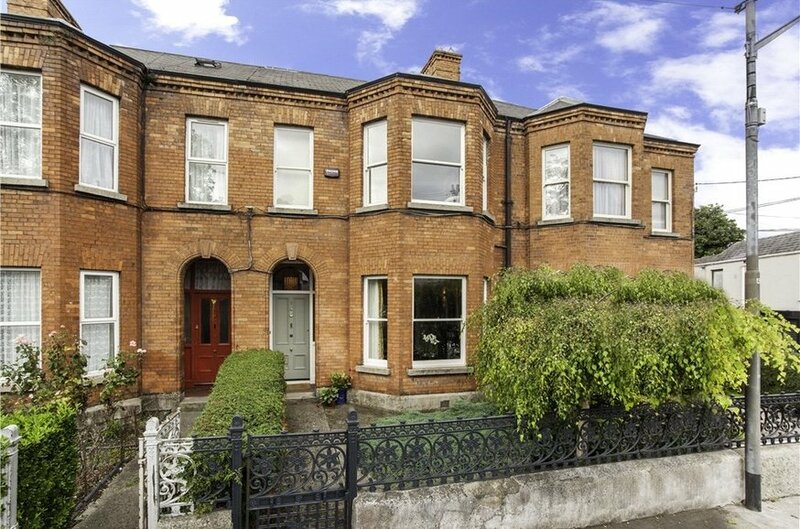 The cross-city Luas is a 15min walk away in Phibsborough. The 46 A bus route is under 1 minute from the house (bus to city centre frequency at peak times is every 7 minutes). Heuston Station is a 15 minute walk. It is also well served by nearby 37, 38, 39 and 70 buses. 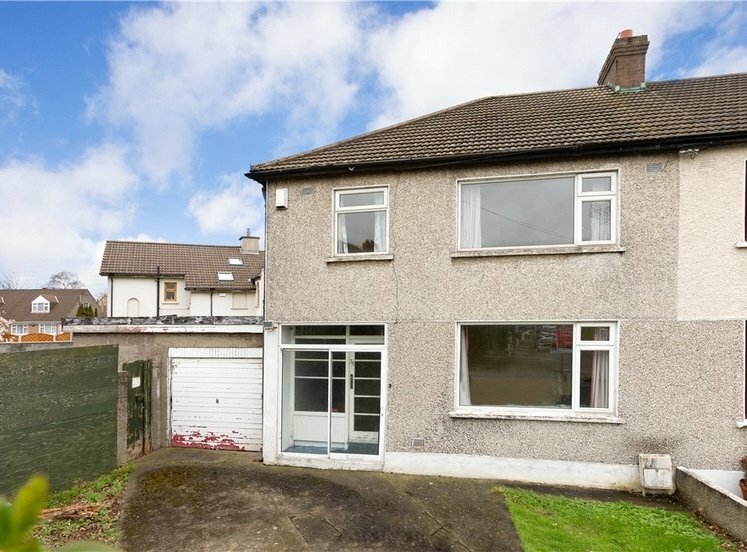 The property is well positioned for ease off access to all of the major motorways, and is a twenty minute drive from Dublin International Airport. The M50 is 6km north of the location. The house is well served by local amenities, sporting facilities, schools and shopping. Local schools include Belvedere, Castleknock College, St. Declan’s, Loreto on the Green, Mount Sackville, Scoil Caitriona as well as Mount Temple, Castleknock Community College and the new Educate Together Second Level School in Dublin 9. Trinity, DIT and DCU are within easy reach with UCD a single bus ride away. There are 20 primary schools in the area including four Educate Together schools and a gael scoil. The area is brilliantly located for a range of leisure activities. The Phoenix Park is a five minute walk from the house offering walkers, joggers and cyclists the best possible amenity in the city. Kids will love the easy access to the Zoo (8 minute walk) as well as the huge playground at Aras an Uachtarain and the new modern playground in Grangegorman. There are four local GAA clubs, a soccer academy at Bohemians, cricket in the Park and rowing at Islandbridge. 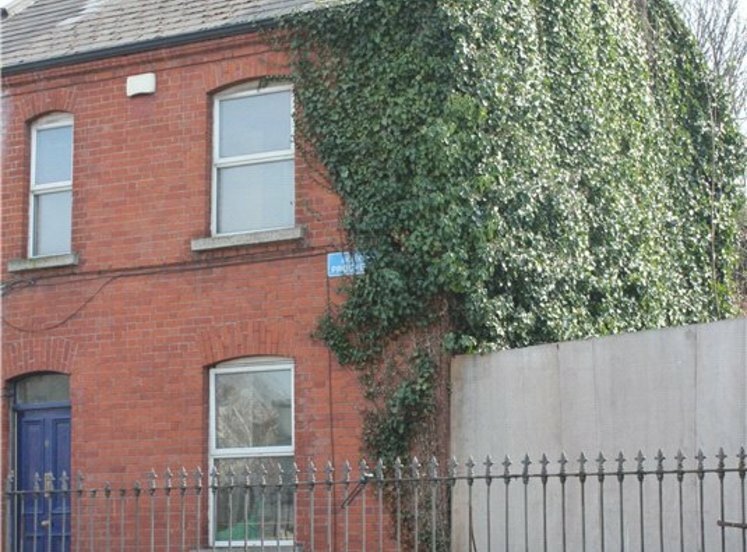 Yoga enthusiasts will find some of Dublin’s best studios including the renowned Elbow Room. The vibrant evening culture includes buzzing eateries and coffee shops (L Mulligan Grocer, Slice, Cotto, Cowtown café, Love Supreme) and inviting pubs (Walsh’s, Kavanagh’s, The Cobblestone, The Barbers). While home cooks are well provisioned by local artisan shops such as Lilliput, Mooz, Little Italy, Green Door Bakery and Kish. 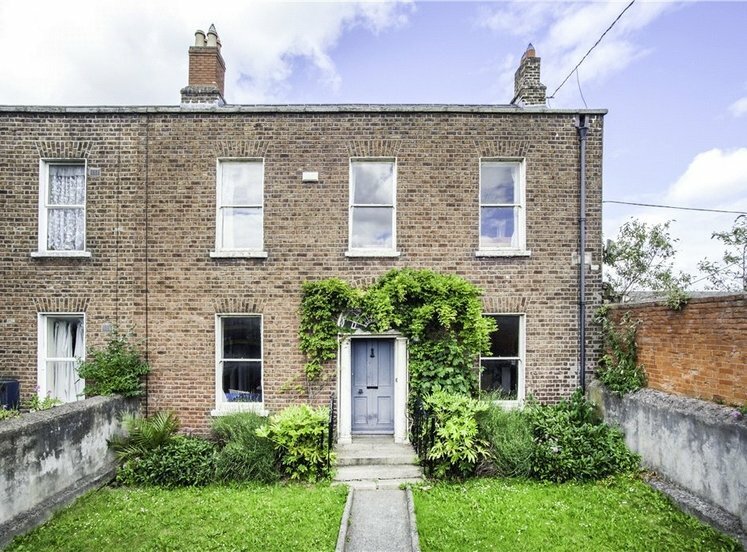 The house is just a stroll from the Lighthouse Cinema, Collin’s Barracks museum, Arbour Hill Cemetery as well as the festivals of Smithfield and Stoneybatter. 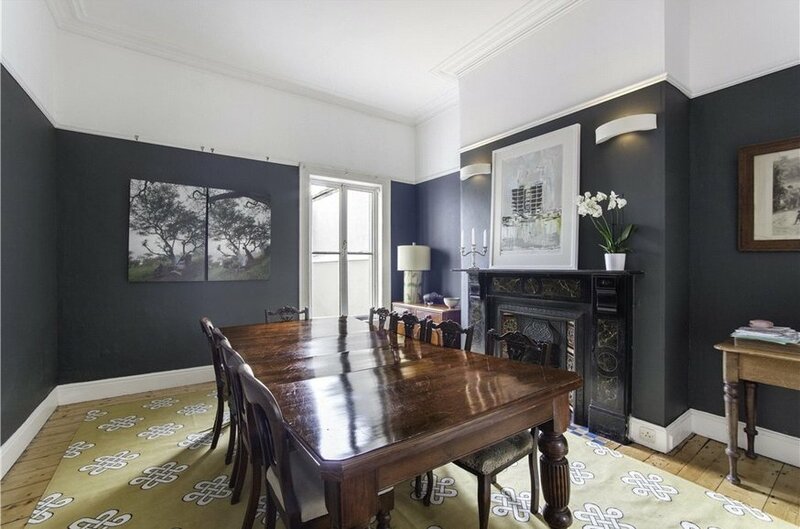 bright spacious entrance hall with original timber floors, decorative coving, centre rose and arch, 3.5m high ceilings, stairwell to first floor level and understair guest wc. 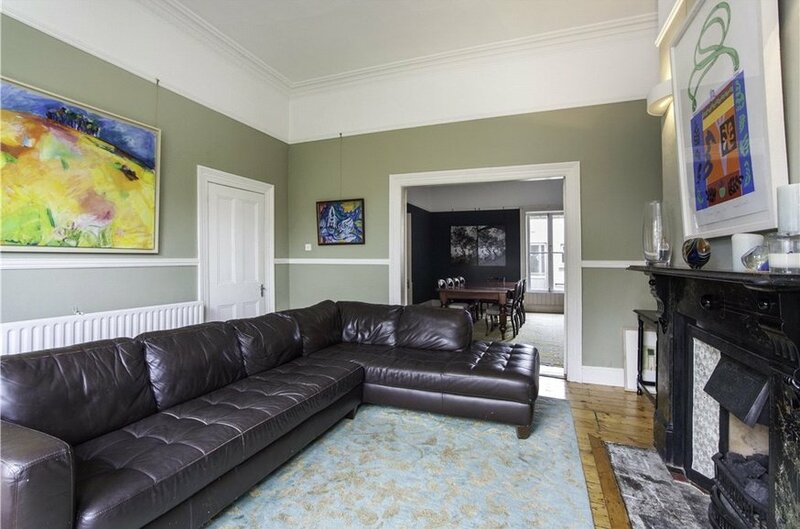 with feature fireplace with marble surround and tiled inset, decorative coving, centre rose, picture rail, 3.5m high ceiling, window overlooking an internal courtyard and original timber floor. 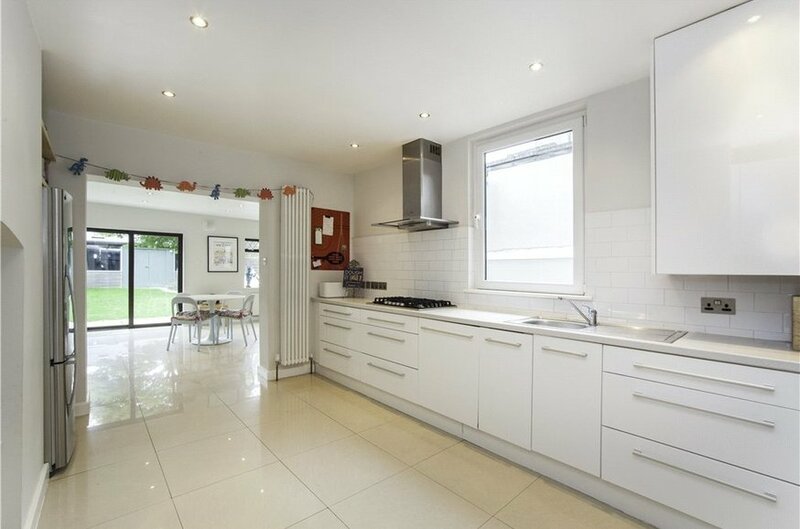 Contemporary fitted kitchen with wall and floor mounted units, two integrated full sized ovens, gas hob and extractor fan, integrated dishwasher, large window looking into internal courtyard, original fireplace with flue intact. incorporating a shower room. With doorway to internal courtyard and sliding patio door to the rear garden. 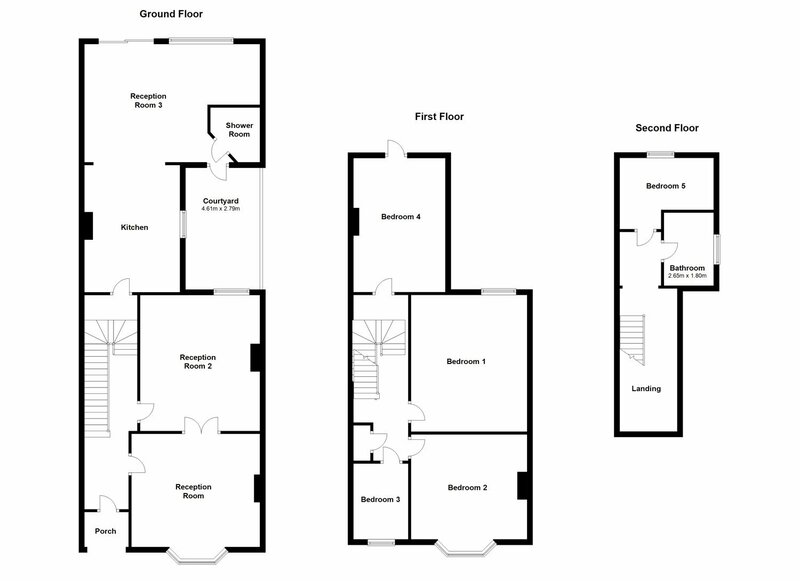 with porcelain tiles, white suite with wc and whb, stand in electric shower, heated towel rail and window to courtyard. large double bedroom with feature fireplace. with large storage cupboard and attic access. double bedroom with feature fireplace and window overlooking the rear courtyard and rear garden, 3.5m high ceiling, decorative coving and picture rail. incorporating bay window. 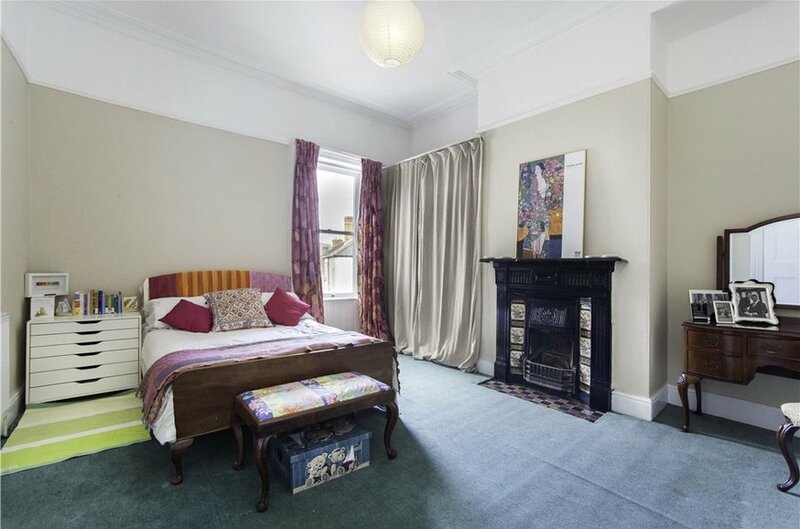 Large double bedroom with feature fireplace, decorative coving and large bay window overlooking Marlborough Road. 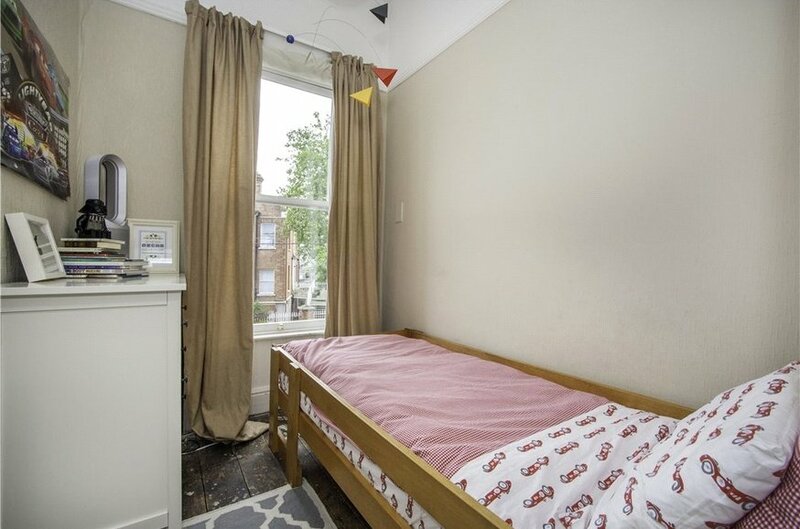 large single bedroom with window overlooking Marlborough Road. with hot press and attic access. double bedroom with feature fireplace overlooking the rear garden. family bathroom with three piece white suite, wc, whb, enamel bath and power shower.